[prMac.com] Austin, Texas - Xojo, Inc. creator of Xojo, a multi-platform development tool for desktop, web, mobile and Raspberry Pi apps, today announced that their entire Xojo store will be on sale from Black Friday, November 24, 2017, to Cyber Monday, November 27, 2017, the biggest shopping weekend of the year. All new Xojo licenses, renewals and upgrades will be discounted to 20% off of their original price. Xojo 3rd party products and Training Videos are also included in this epic sale. Xojo is the best environment for professional developers, citizen developers and hobbyists alike who want to develop for the desktop, web and mobile. Xojo applications compile to machine code for greater performance and security. Xojo uses native controls so apps look and feel right on each platform. Since one set of source code can be used to support multiple platforms with native apps, development is ten times faster. 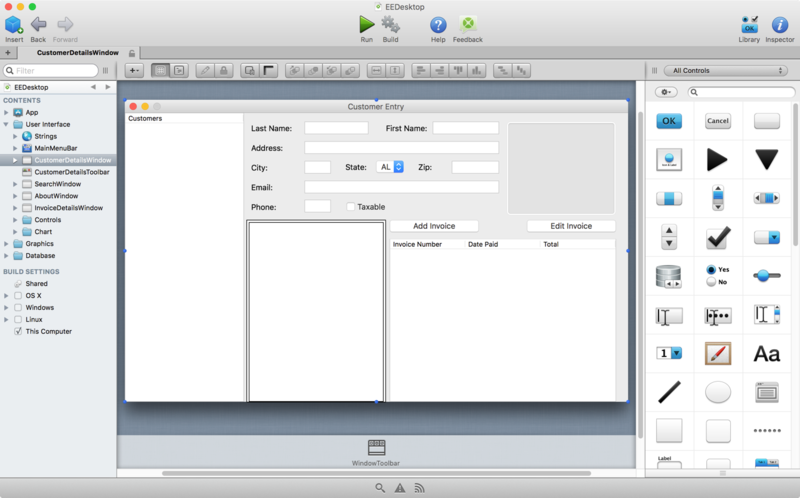 Simply drag and drop to create the user interface, utilizing one straight-forward programming language to implement the app's functionality. Xojo, Inc. was founded in 1997 with the idea that software development should be accessible to anyone. With traditional tools, creating software applications can be a very complicated process, but using Xojo anyone can learn to create high quality, native apps for the desktop, web, mobile and Raspberry Pi. With users all over the world, Xojo apps can be found in every conceivable category - from commercial software applications to use in governments, universities, businesses, and the Fortune 500. All Material and Software (C) Copyright 2017 Xojo, Inc. All Rights Reserved. Apple, the Apple logo, iPhone, iPod, iPad and macOS are registered trademarks of Apple Inc. in the U.S. and/or other countries. Other trademarks and registered trademarks may be the property of their respective owners.